Build Ripped, Bulging Delts and increase your shoulder-deltoid width 1"-3"
Proven highly effective by over 500 bodybuilders and athletes. Used in most NFL, NBA, and MLB training rooms. Delt Force isolates and activates only your delts, so they get 100% of the blood flow and power for Super Deltoid Growth! Guaranteed Results, or return within 30 days for a full refund. 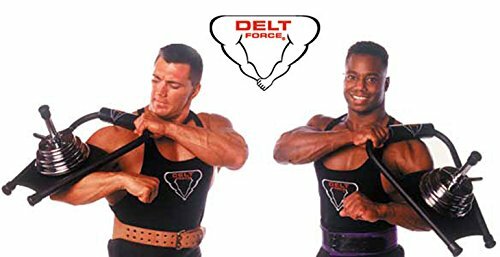 If you have any questions about this product by Delt Force, contact us by completing and submitting the form below. If you are looking for a specif part number, please include it with your message.